We have a new arrival coming Tuesday (4 days from now). His name is Feliz and his a 1 year old Venezuelan BCC. They are essentially a dwarf species of BCC and are known for easier requirement than other BCC's (more like a BCI), small size (females get about 6ft and males 4 1/2 - 5FT on average), and calm demeanor. 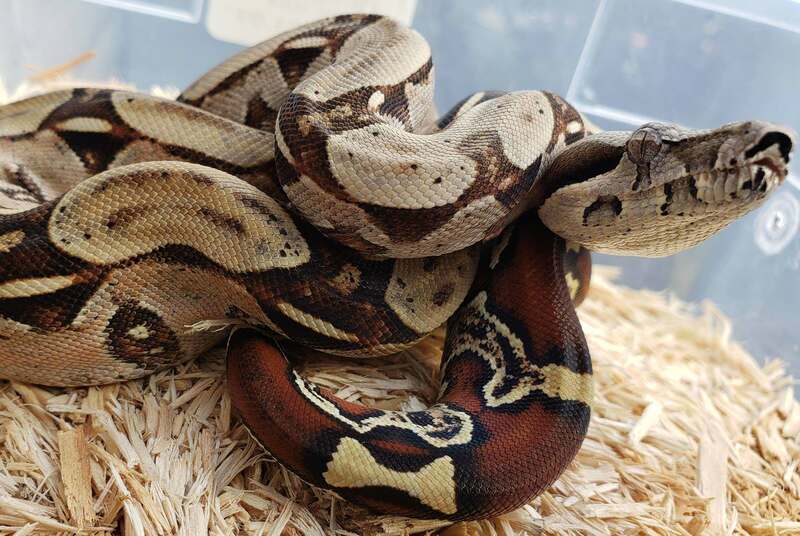 They are rare and I could only find one breeder in the US and very little information online. Feliz is captive bred (I have a picture of his father below). 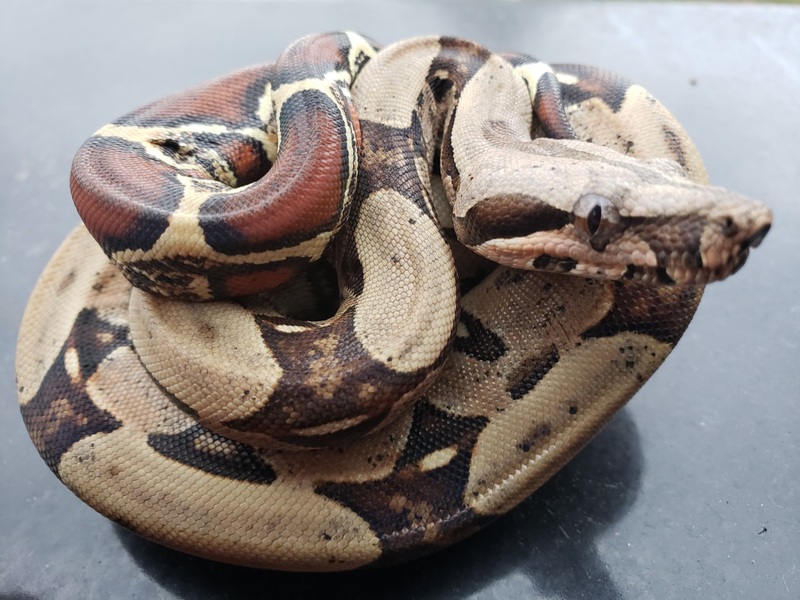 He is not a morph, but a true Venezuelan BCC, with the (IMO) gorgeous BCC coloring on both body and tail, the more "batman" style bands down his body, and the narrower head than a BCI. 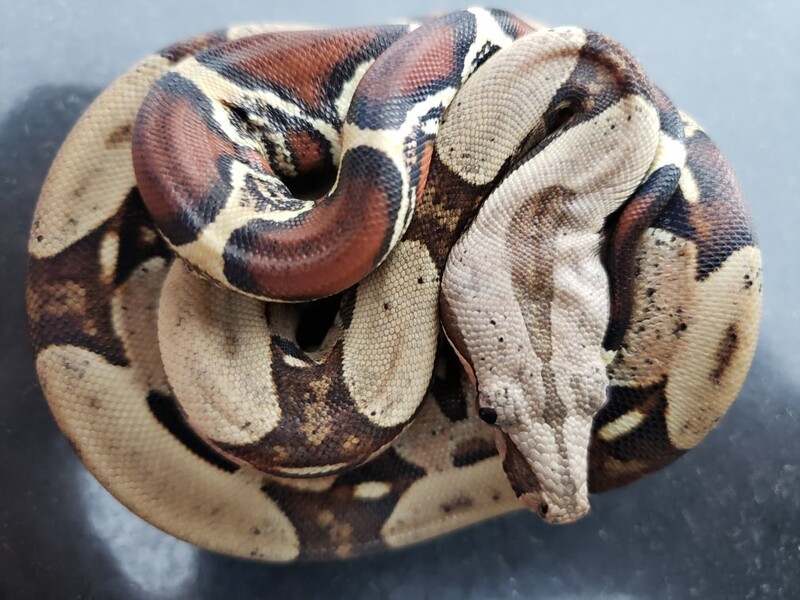 He is currently eating stunned hoppers, but I don't think switching him to F/T will be an issue at all given his food response (he's a Boa after all). 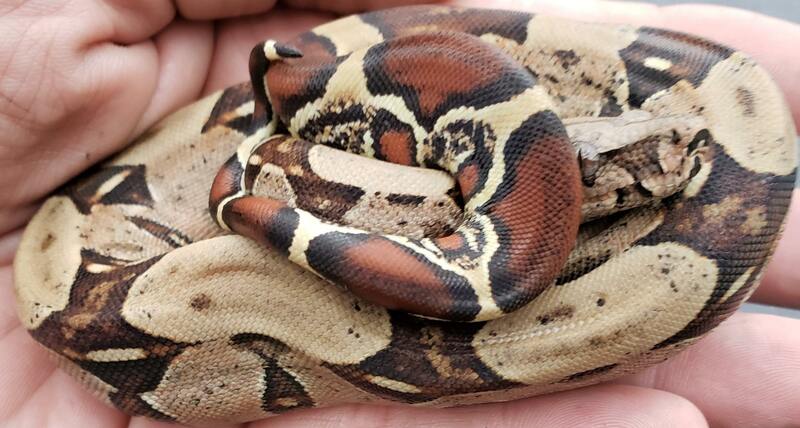 According to the breeder, who also breeds other BCC's and many dwarf species of Boas, this is the calmest and most docile line of Boas he breeds. His girlfriend helps in some capacity but does not like many of the snakes, especially babies, as they can be nippy and defensive. She has handled the Venezuelan BCC's since birth, including Feliz. Apparently, they are not just non-aggressive, but incredibly calm, while still being great eaters. 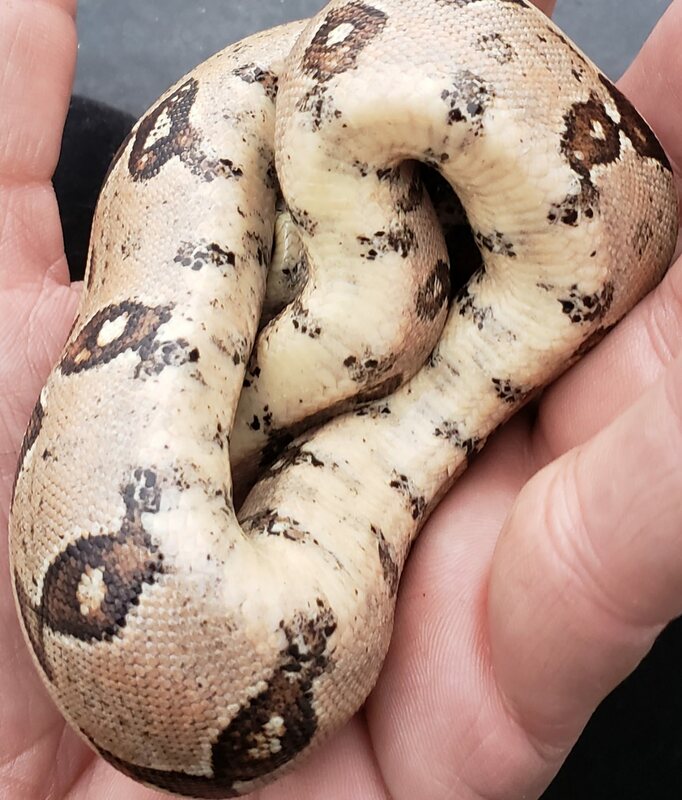 I had called this breeder about dwarf boas before getting Yafe, but he hadn't called me back right away, and everyone I spoke to about Dwarf species pretty much said there are exceptions, but not to expect BCI personality and temperament. When he did call me back, he said the same thing. However, I kept talking up how much I loved Behira and he mentioned the Venezuelan BCC's. I did a little research but could find almost nothing on them. I called him back and he told him what he knew about them and sent me some pictures. What's not to love about a BCC? Well, for me, it's the large adult size! 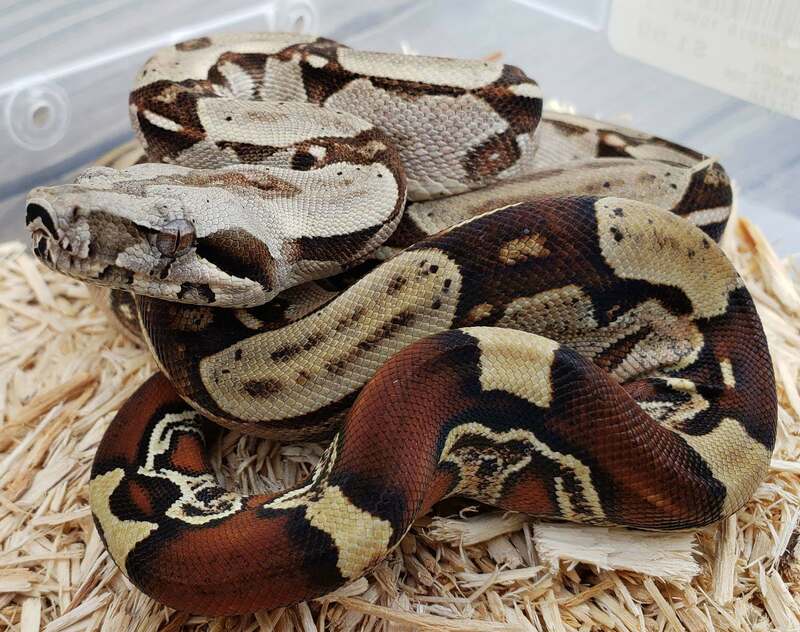 They are beautiful and in my mind, the ultimate boa, but one big Boa (Behira) is enough for me, and especially for Katie! When I realized how rare, docile, and beautiful they were, I couldn't say no. With what we are dealing with regarding Yafe, I would have preferred to wait to receive him, however, weather would likely make that a 4-6 month wait. He will be set up in another quarantine tank in another part of the house and there will be no interaction whatsoever between them. We named him Feliz because he is from Venezuela, so it had to be something Spanish, and he is a "dwarf" BCC. Katie and I thought of the 7 dwarfs from snow white, and who doesn't like Happy? Happy is exactly what we want him to be! Happy in Spanish is Feliz! Please welcome Feliz to our family! ​Not the best picture, but Feliz's Father for scale. 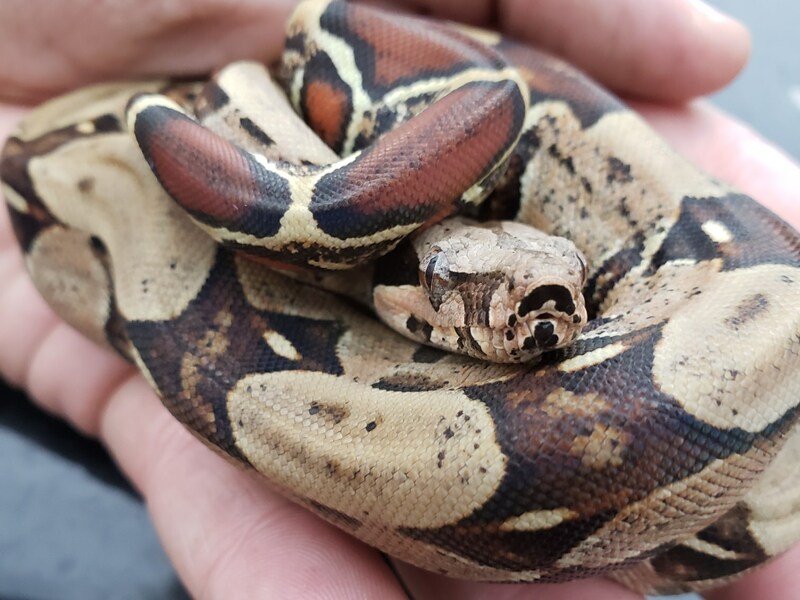 Not a huge Boa. I think the breeder said he is under 2KG. He is six years old. oh wow, that narrow face!!! Grats. Did you get him from Mike Lucchesi or Chris Wolf? Iirc, they both breed them and i think Mike had a litter of them a little while ago but i dont think Chris was breeding any this year. I almost picked one up from Mike but I'm holding out for the perfect Peruvian still lol. I just gotta convince Udo Wagner to breed some of his stock and sell me one lol. And honestly, most BCC are pretty laid back too. Gina has only ever hissed at me once and that was during her first shed when i got her and was bugging her lol. Otherwise, she is so laid back. Last edited by Sauzo; 11-02-2018 at 10:07 PM. Yeah, I know! My weaknesses are showing big time here. Very cool, and yes, agreed! The fact that he is the last one in the litter, for this year anyway, didn't help! I got him from Tommy at TC Reptile. I got in touch with him because of the amount of Dwarf Species he breeds. Very knowledgeable and seems like a real nice guy. I didn't expect to end up with a BCC, dwarf or not. I didn't even know Venezuelan BCC's existed until I spoke with him. Last edited by dakski; 11-02-2018 at 10:12 PM. Last edited by Sauzo; 11-02-2018 at 10:22 PM. I'll ask. He said every litter he has had has been very calm. However, not 100% sure of the exact locale, or if he knows. I'll advise. 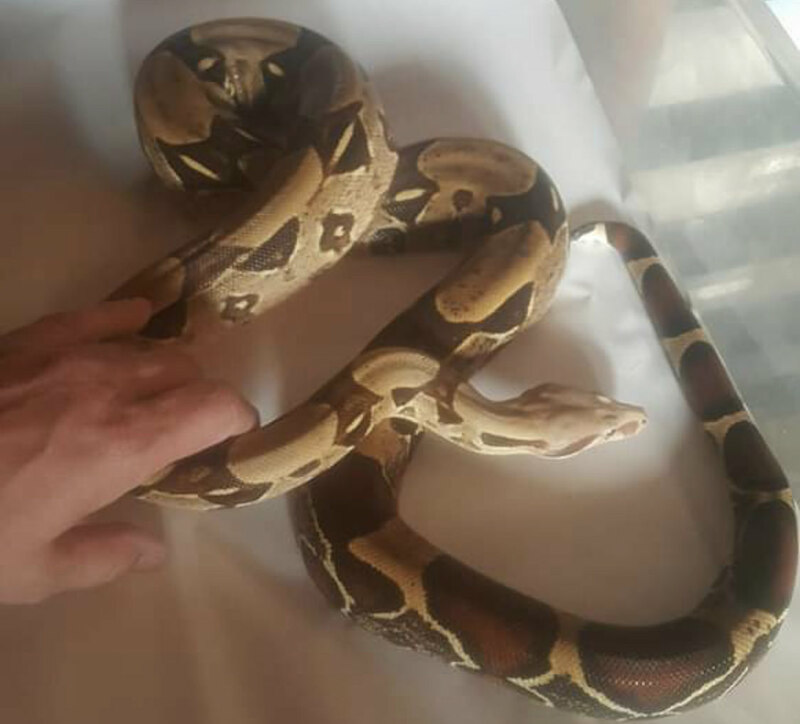 Im wanting a bcc but have had to stop myself looking, luckily I'm at work this weekend as there's another reptile expo on and there's normally some there. There quite difficult to get hold of here, running out of room so that's probably a good thing.